Diane M. Wehrle, M.S., C.R.N.P. - Andrew Goldstone M.D. Diane M. Wehrle, M.S., C.R.N.P. Diane Wehrle, our highly skilled nurse practitioner, has over 32 years of combined nursing experience in oncology, cardiac intensive care, medical-surgical, managed care and family practice. Through her experiences across many specialties, Diane has developed her wonderful ability to evaluate and treat medical conditions. Since 2002, Diane has focused her career caring for both adults and children with Ear, Nose & Throat (ENT) disorders. For over 16 years, Diane and Dr. Goldstone have worked closely together combining their knowledge and experiences to provide the best possible care for their patients. Diane received her BSN of Nursing from Towson State University and her Masters Degree from The University of Maryland. She is an ANCC board certified Nurse Practitioner and a member of The Society of Otolaryngology-Head and Neck Nursing. 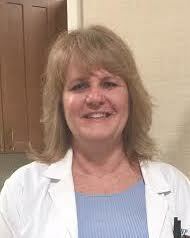 Diane has experience in all aspects of Ear, Nose & Throat care.